In this the 1st quarter of 2015 in Tanzania we have been busier than ever. As Operations Manager I began with an evaluation and recommendation from all 3 primary schools of our support partnership. 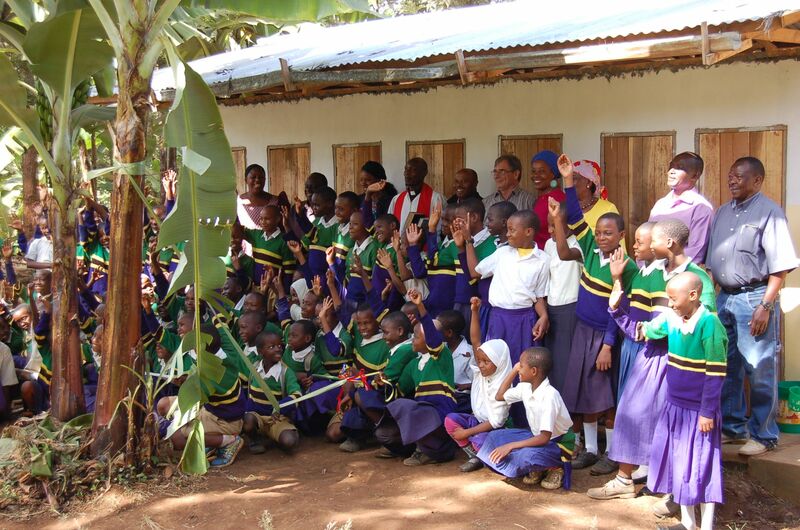 Mwowe school became a starting point this year as last year Lyamungo Sinde Primary received much of my attention. I discussed with the principal his food programme and how his expenses were distributed. I also learned about the family contribution requirement and how the money was spent. This was very helpful when I visited both ARI and L.S. as the principals’ English here is not so good. So thank you to Mwowe School! In ARI and L.S. Primaries as well I gathered information about their new vulnerable Standard 1 (year 1) pupils and those students on last year’s list who qualified for secondary school following their Standard 7 exams. Here in Tanzania Standard 7 pupils in primary have a final exam which, if they fail, excludes them from being invited to join secondary school. It is my hope in future to be able to provide some basic vocational training for these young people. Thankfully, this exam policy is now being abolished! And the outcome? While last year I supported 65 vulnerable children and their families, this year my list reached 81 primary pupils and 7 from my last year’s list headed for secondary school! The village is now fully aware of our programme and is keen to spread the net a little wider! My feeling is that if the funds support it, I will do it! The village remains grateful and appreciative. I believe I will now also adopt the approach used by ABCD Canada in Marangu West and leave a family application form with the new pastor as well as with the village Imam. So, a very demanding start to the year! As an additional boost I met up in Arusha with Suzy and Nick Vincent whom I met last year at our coffee morning (see previous posts). They donated a further £20 during their visit! And on the 27th this month I receive another of our coffee morning guests, Ann Scherbrucker whose daughter is teaching at Moshi International School. Lots more to do! One of the things I omitted from my recent newsletter is that I have also been busy with ABCD Canada directors Lynn Bird and Frank Smith who have been doing the same as me in Marangu West. They have 7 years’ experience now and their programme is well-established. 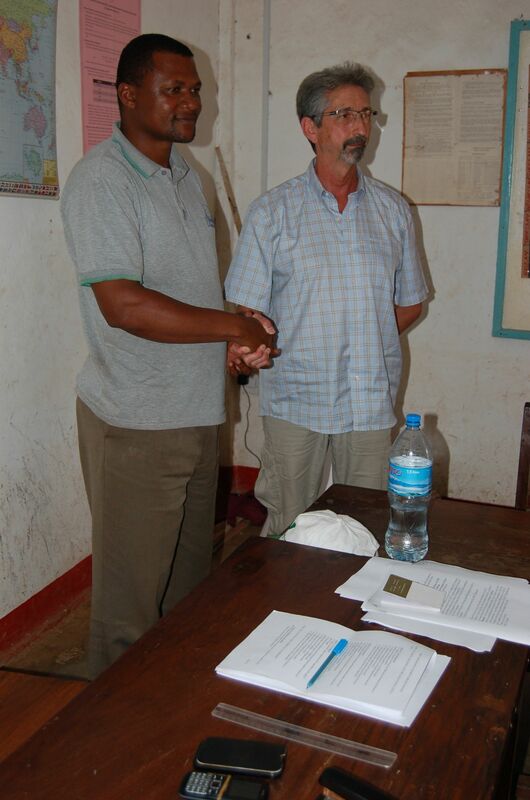 Frank has been working towards setting up and registering a local NGO, ABCD Tanzania. It is our hope, as I have now been elected a director of ABCD Tanzania, to launch the NGO in order that some of the responsibility for management and fundraising can be given over to local people, rather than they relying entirely on donor funds. We held our first AGM with founding members who have adopted a new constitution. A job well done! We continue now with the programme for Martha’s girls whereby hygiene pads have been distributed to 13 new girls this year. A successful programme and one most welcomed by the village families. Thanks again to Martha’s initiatives last year. And while on the subject of Martha’s contribution to the village, we also officially opened the toilet block we built last year with funds from Martha’s friends and family in Australia. 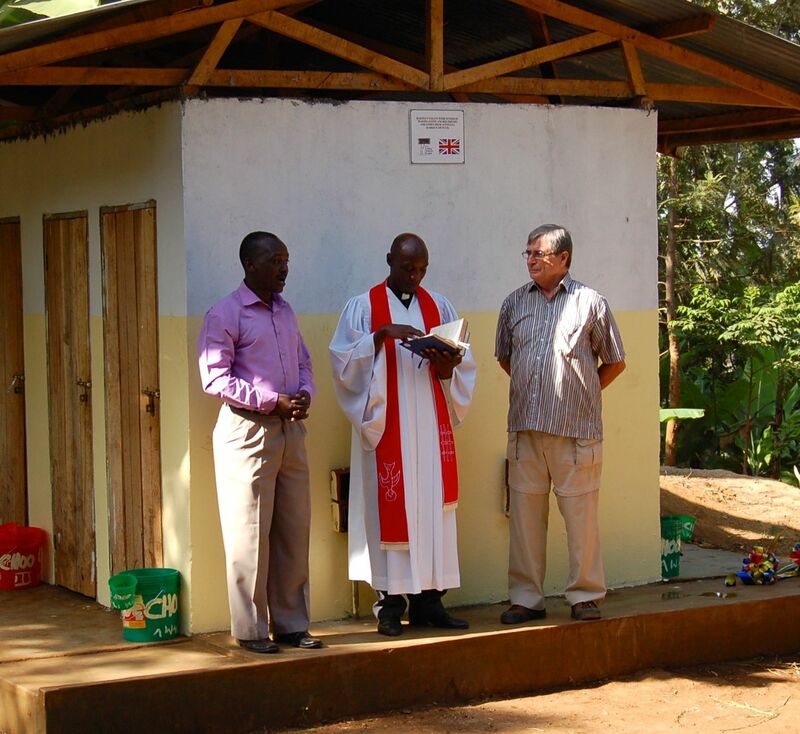 The new pastor blessed the toilet block and yours truly had the honour of cutting the ribbon! I had the privilege of publicly thanking Martha as well as the outgoing pastor Nixon Kowero who was unfortunately unable to attend. 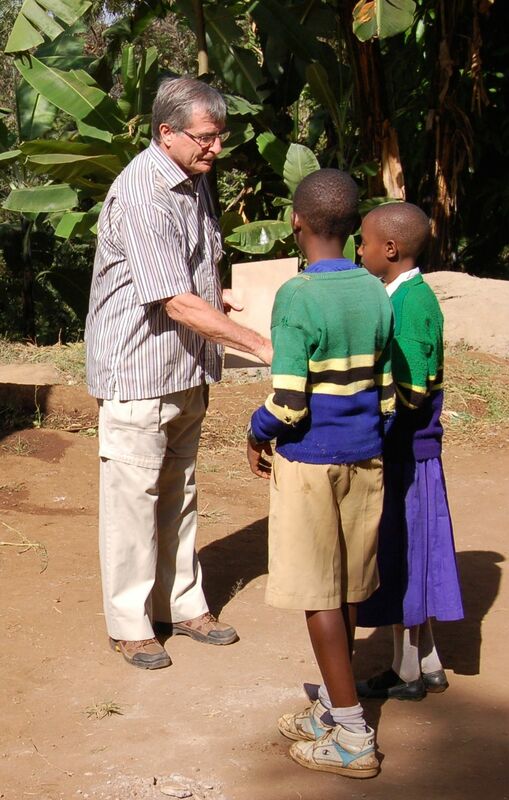 Without pastor Nixon’s enormous contribution the toilets could not have succeeded as they have. And finally, I have had little time to develop the art programme so far so a busy couple of weeks leading up to Easter to make up for lost time. I have already approached ARI and L.S. primaries and am currently gathering materials for the projects. Looking forward to actually mixing with the kids again! As I’ve said earlier their is no room in the curriculum for any of the arts. I believe that many here don’t appreciate the advantages of teaching the arts as an alternative to standard academic disciplines. The kids certainly love it and look forward to it. So, I am now also looking forward to returning to the UK to engage in more fundraising activities ready for next year. See you again soon. ABCD ABCD (UK), ABCD Canada. permalink.